Super Smash Bros. has been a staple on Nintendo consoles for the last 20 years. The Nintendo Switch is no different, with the latest entry in the series – Super Smash Bros. Ultimate – launching worldwide on the best-selling console today. Following a reveal at E3 2018, the new instalment in the all-star fighting game has been one of the most feverishly-anticipated games of the year, and looks set to be one of the very best Nintendo Switch games to play this holiday season. To celebrate the launch, Nintendo has unleashed an all-new limited edition Smash Bros version of the Switch, which sees popular characters from the new title pictured on the Dock. 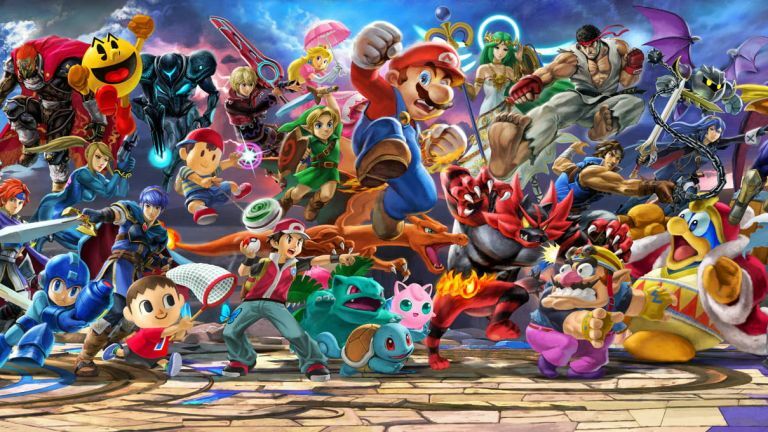 Nintendo has also catered to the most fiercely competitive Smash Bros. fans by bringing the ability to use a GameCube controller to play the new Switch game. Yes, you did just read that right. The Japanese gaming firm has included the ability to use a controller first launched in 2001 with one of its biggest launches of 2018. In fact, it didn't even stop there. Nintendo has even blown the cobwebs from the old GameCube production lines and cranked out a few more limited edition Super Smash Bros. Ultimate versions of the gamepad just for the launch. However, there is some bad news for those hoping to dust-off their old GameCube controller to play the latest must-have Switch game when it launches tomorrow. Nintendo has sold-out. The £24.99 Super Smash Bros. themed GameCube controller has sold-out in the official Nintendo UK Store. That's a massive blow to those who were hoping to recreate the experience of playing Smash Bros Melee – the GameCube instalment of the game, which is still widely considered to be the best in the series. Incredibly, Nintendo had been limiting the controllers to one per person – hinting at just how popular the GameCube controller for Super Smash Bros. Ultimate really is. Fortunately, it is still popular to get the must-have accessory from some third-party stores. Our interactive chart has the latest prices and stock updates.